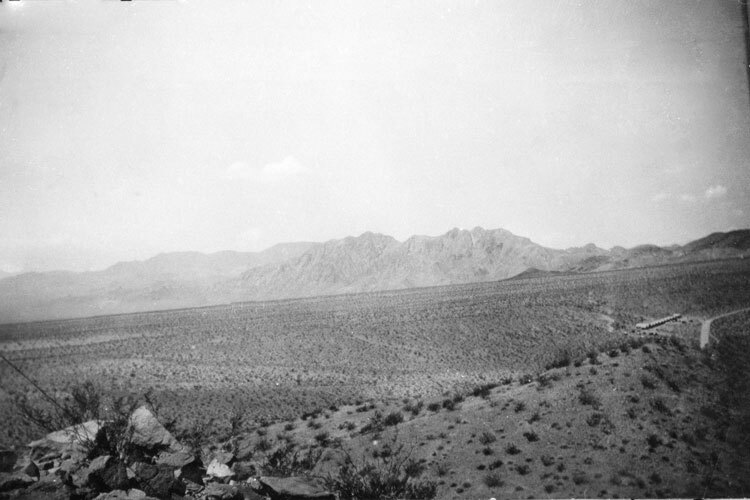 This 1930 image of the Boulder City town site was taken from water tank hill. 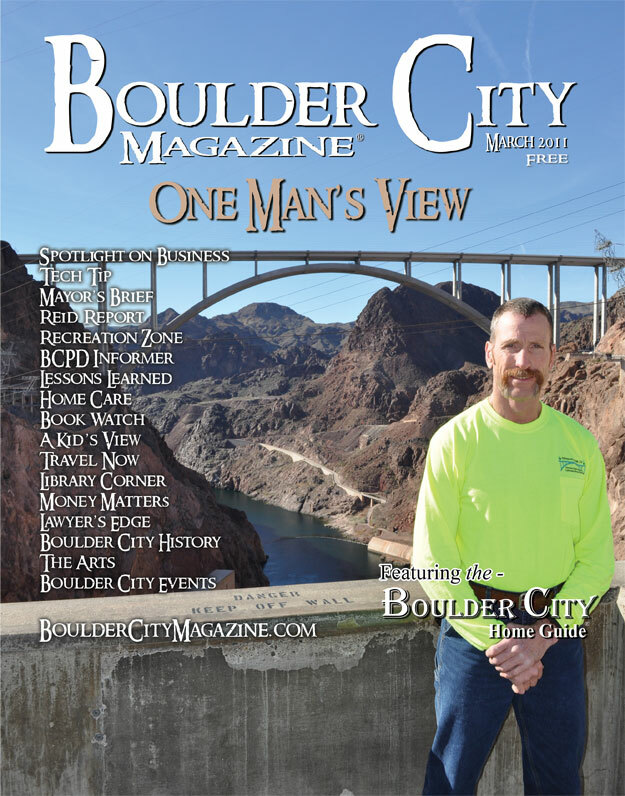 On December 18, 1930, Secretary of the Interior, Ray Lyman Wilbur, approved plans for the new town of Boulder City to be constructed as part of the Boulder Canyon Project. 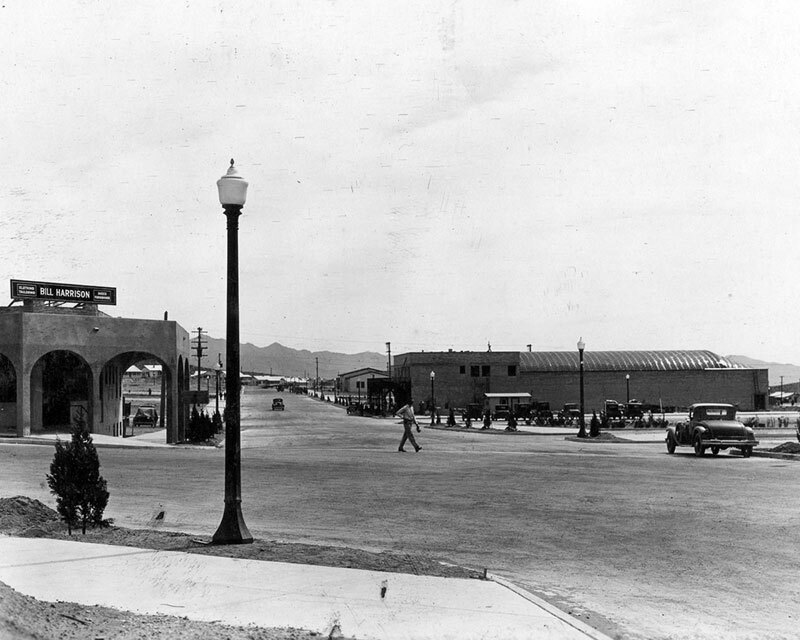 The theater building in the course of its construction is to the right of the 1932 view looking eastward across Nevada Highway through Arizona Street. They saw a future in business, tourism and recreation.